Dr. Jarrahy (left), and myself (right), on the day of my most recent surgery of May 2018. In April of 2017 I got into a severe, nearly fatal ATV accident in Greece whilst studying abroad. I was studying abroad at Oxford University in Oxford, England. During the time of the accident I was on spring break and vacationing in Greece. The accident happened on the island of Mykonos. I do not have any memory of the accident, but from what those who were with me explained; I was driving an atv with my friend on the back, and I was wearing a baseball cap. It was pretty windy, and the wind had started to kick up, because of this my hat started to fly off. Ignorantly I had tried to catch my hat in the wind, and while doing so I turned my head to the right, blocking my vision from the road. Although I was only going maybe 5 mph, I had flown off the atv into the air, and landed face on to a stonewall. The biggest impression of the accident against the stone wall was my chin which caused a large indent, and thus leading to my 6 front teeth falling out whole. I had multiple injuries including a large amount of facial fractures, a broken jaw, several missing and chipped teeth, a severe loss of bone in my mouth, a liver laceration, skull fracture, and a patellar fracture. The initial worry of my accident was the severe amount of blood I was losing from my liver laceration. The ambulance was immediately called and a woman driving by with her family stopped at the scene. The woman ran over to me and saw that I was excessively bleeding and began to elevate me and her and a friend of mine flushed water down my mouth because I was choking on my blood. When the paramedics arrived they told the woman that she had saved my life. If she had not washed me down with water I would have died from choking on my blood. I was first driven to the local hospital in Mykonos, and was there for several hours until the general surgeon there realized that my condition was worsening and I needed to be medevaced to a larger hospital in Athens. I remember waking up for a small amount of time in the helicopter thinking, “Where am I? Did I get in an accident? Am I dreaming?” Although I was unconscious on and off for several days, my first initial thought was, “Am I dying?” The doctors and nurses did not tell me what was going on for a while because I was still in shock. When a friend called my mom, (who was back in the U.S.), and told her about my accident, she immediately found the first flight to Greece, and arrived at the hospital a day after my accident. The doctors did what they could in Greece to stabilize my liver, and sustain my other injuries. I stayed in the hospital in Greece for roughly 2 and a half weeks. I was in desperate need for a reconstructive facial surgery from the fractures in my face. My mother had contemplated with having my facial surgery done in Greece, but the plastic surgery team there had warned my mom that it is a very long recovery post surgery, and that we would have to stay in Greece for a while. My father contacted a surgeon he knew with UCLA Health at the Ronald Reagan Medical Center, Dr. Kodi Azari, and asked for his advice/recommendation for a plastic surgeon who deals with facial trauma cases like mine. Dr. Azari recommended that I have Dr. Reza Jarrahy, associate clinical professor, and plastic and reconstructive craniofacial surgeon perform my surgery. My father then contacted Dr. Jarrahy's surgical coordinator; Gina, who played a huge part in helping me. Gina worked very hard to get me in to see Dr. Jarrahy. The day I left for Greece to go to on my flight back home to the Ronald Reagan UCLA Medical Center, one of the main general surgeons treating my case told me that he did not think I was going to survive in the beginning. He was ecstatic to see me doing better, and on my way to receive my treatment. I had then flown back to the States with my mother and a Greek doctor. The flight was a tough experience because of my condition, but I kept telling myself that it was worth it to endure the long flight in all of my pain because I was going to be staying at one of the best hospitals in the country. 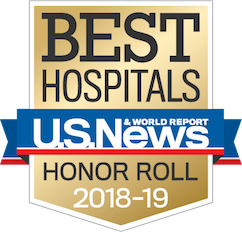 Although I was in a great amount of pain, very frail and anxious, as soon as I arrived at the UCLA Medical Center I was greeted by an array of friendly and compassionate hospital staff. I knew that the medical staff was going to give me their best care, and they did just that. When meeting Dr. Jarrahy I was put at ease with his kind, empathetic attitude. I could barely talk due to my facial fractures and broken jaw, but Dr. Jarrahy made me laugh and smile on the inside with his incredible bedside manner. Dr. Jarrahy, alongside the plastic surgery team explained to me that they would perform an ORIF (Open reduction, internal fixation facial surgery). The surgery took 8 hours, and was successful thanks to Dr. Jarrahy and his amazing team. Not only were the surgeons incredible, but the nurses deserve a large amount of credit in nursing me back to health. I was in the UCLA hospital for a total of 2 and a half weeks. Since this surgery in May of 2017 I have had 3 more follow up facial surgeries with Dr. Jarrahy and the plastic surgery team at UCLA. My latest surgery with Dr. Jarrahy was this past month of May 2018. All of the surgeries have been a success, and I am eternally grateful. I now wear a partial denture to cover the area of my missing teeth, and help aide me to eat food properly. I still have a few more surgeries to undergo regarding my oral implants and bone grafting, but because of the positive outcomes and the care I have received at UCLA, I am excited to finish my treatment and be on my way to a full recovery! 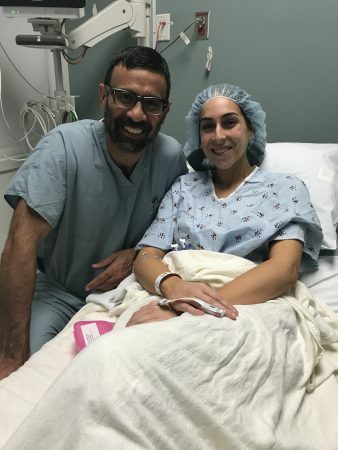 My accident has been traumatic, and both physically and mentally challenging, but because of Dr. Jarrahy’s detailed surgical skills and his compassionate attitude, I have been inspired to keep a positive outlook on this experience, and would love to fulfill a career in medicine as well. Getting used to having a different face is challenging, but with great surgeons and nurses it is more than achievable! When I tell people about my accident they can hardly tell that I had such detrimental fractures because of Dr. Jarrahy’s intricate work. My family and I could not be more thankful to Dr. Jarrahy, and the UCLA hospital/medical staff for being incredibly supportive and helpful during this hard time.